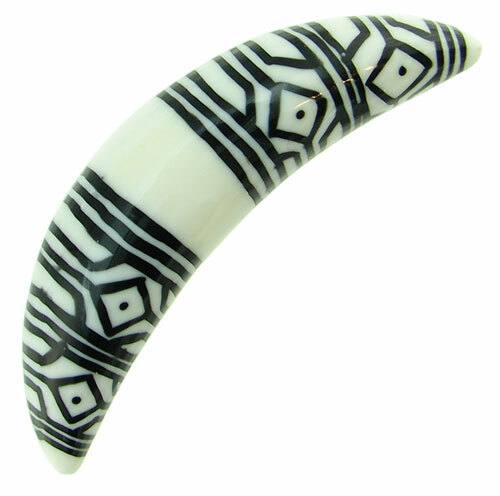 This curved bone septum tusk with black tattoo designs offers a tribal look for your septum piercing. 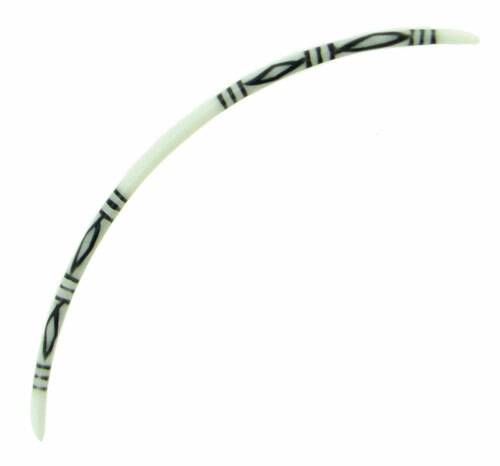 Curved septum tusks can also be worn in ear and other piercings, but tusks are sold as singles so matching pairs are not guaranteed. 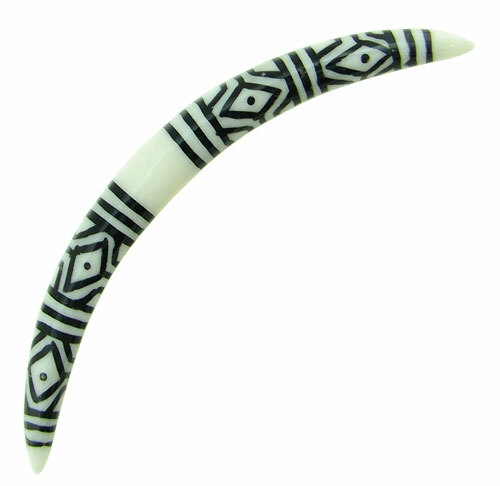 This water buffalo bone curved septum tusk was hand carved from natural materials, rather than mass-manufactured, so some variation exists from tusk to tusk. 13 gauge 12 gauge 11 gauge 9 gauge 7 gauge 6 gauge (+$2.00) 5 gauge (+$2.00) 3 gauge (+$2.00) 2 gauge (+$4.00) 1 gauge (+$4.00) 1/2 inch (+$6.00) Select your gauge size and click "Add to Cart".